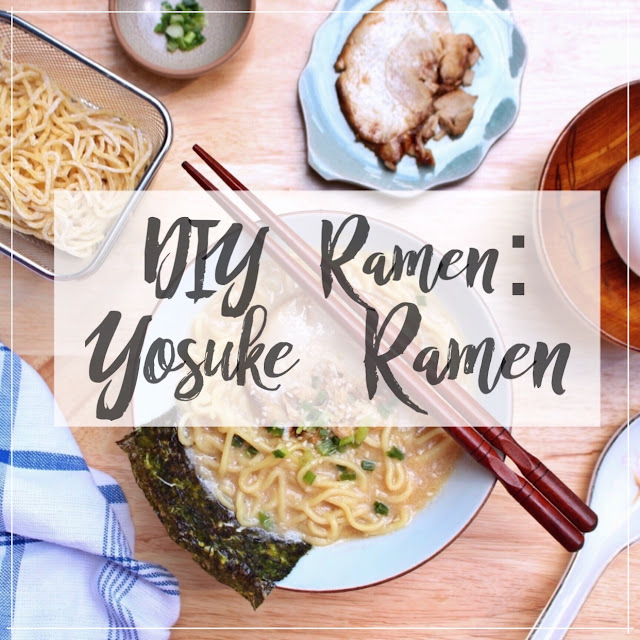 Yosuke Ramen's DIY Ramen is Insanely Easy and Legit! Don't you just love to curl up on your beds with Netflix on the TV screens, and a bowl of your favorite food? I do. This is practically my idea of a vacation. But sometimes, there are just things we can't have while sitting home. The classic example? Ramen. Isn't it devastating knowing that we can't have ramen at home because restaurants don't allow take outs? I say, not anymore, thanks to Yosuke Ramen. Yosuke ramen is a brand offering DIY ramen for delivery. No, it's not what you're thinking. It's not your typical instant ramen. 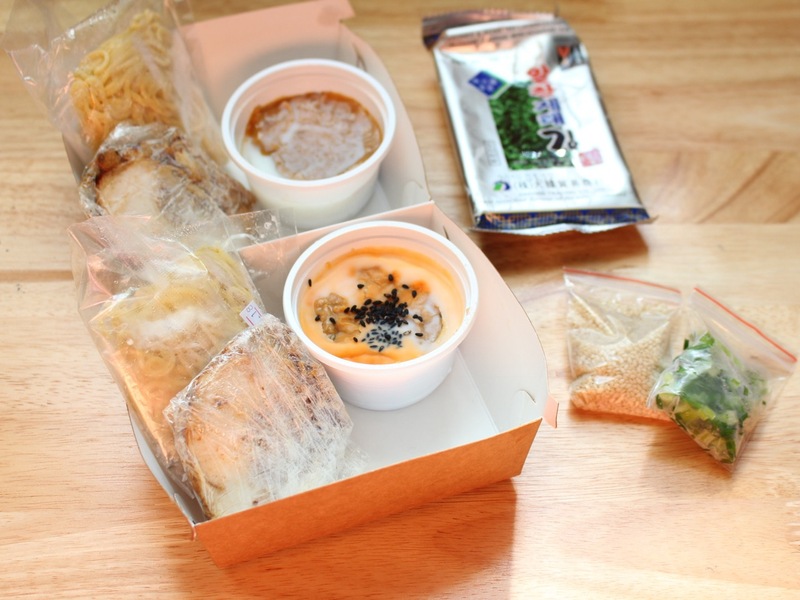 It's ramen made from fresh ingredients, complete with noodles, meat, soup (in paste form), nori strips, sesame seeds and spring onion. 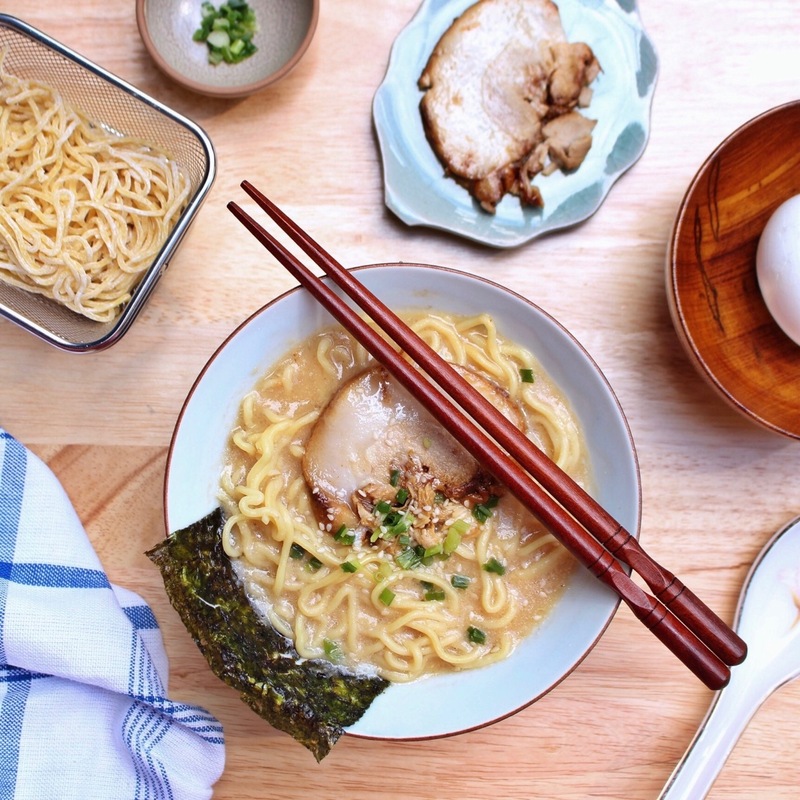 In short, all you have to do is to combine them, and you'll have your very own ramen at home. Put thawed noodles in 500ml boiling hot water and cook for 2 minutes. Stir occasionally to avoid sticking together. Place paste into 300ml of boiling hot water. 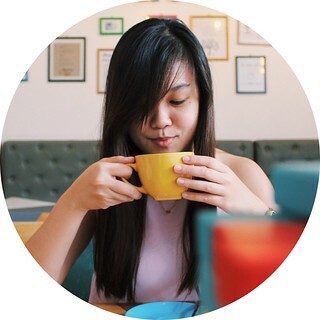 Mix until fully diluted. 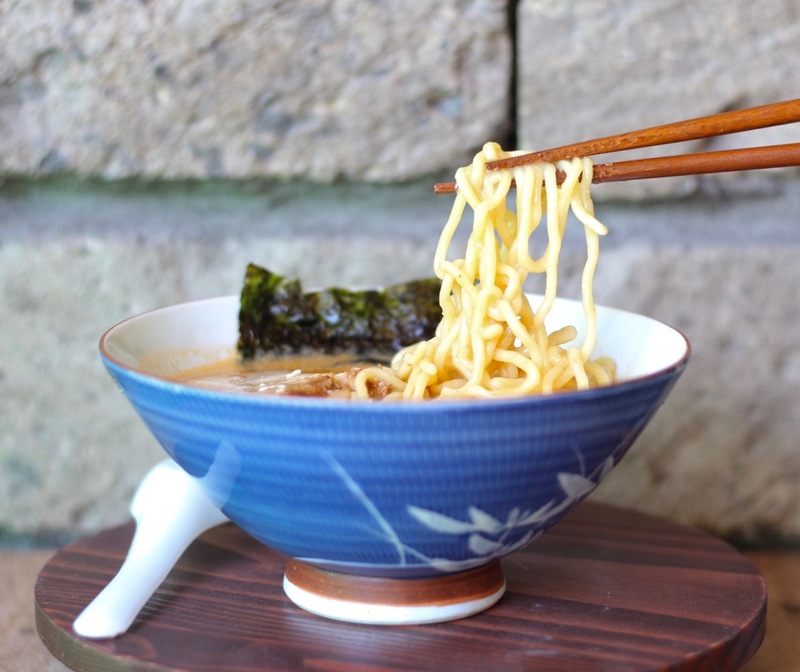 I was honestly surprised that a good-tasting, DIY ramen such as this exists. 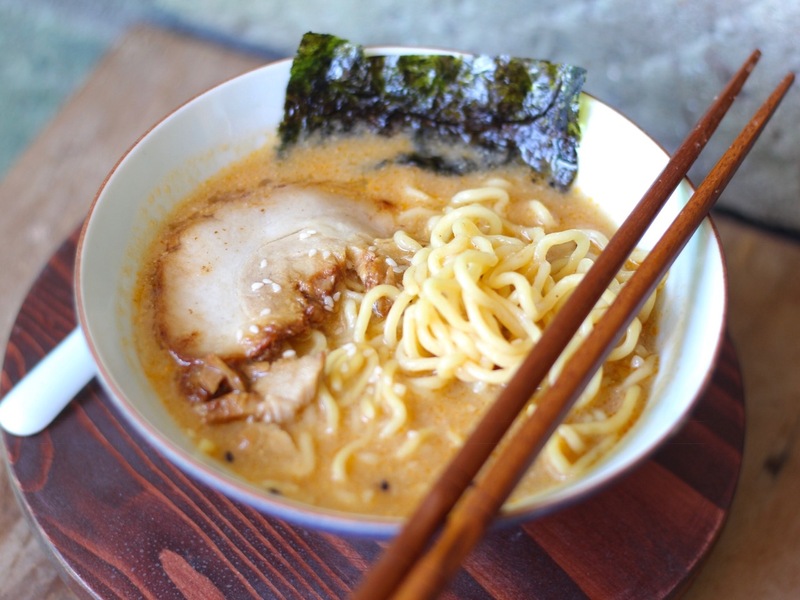 At first I was really in doubt that someone can pull this off, since ramen is no joke to prepare. But then after seeing the package and after having a taste, I was convinced. This is truly amazing, and it's even affordable! 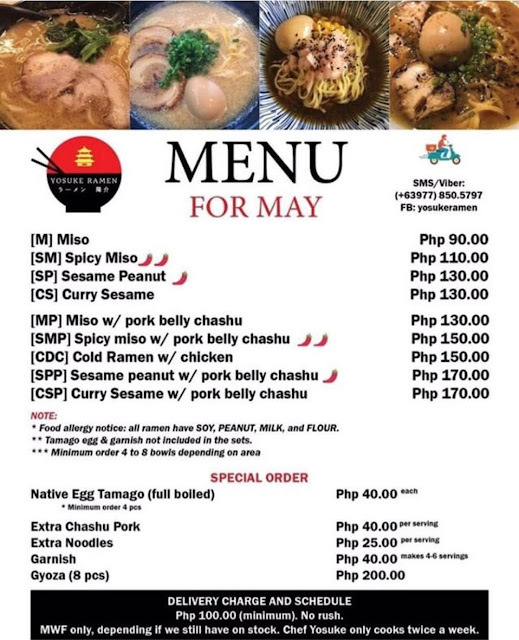 See their menu for the month of May! I also heard they're trying to add more items on the menu every month, so I guess we'll have so much more to look forward to every month! 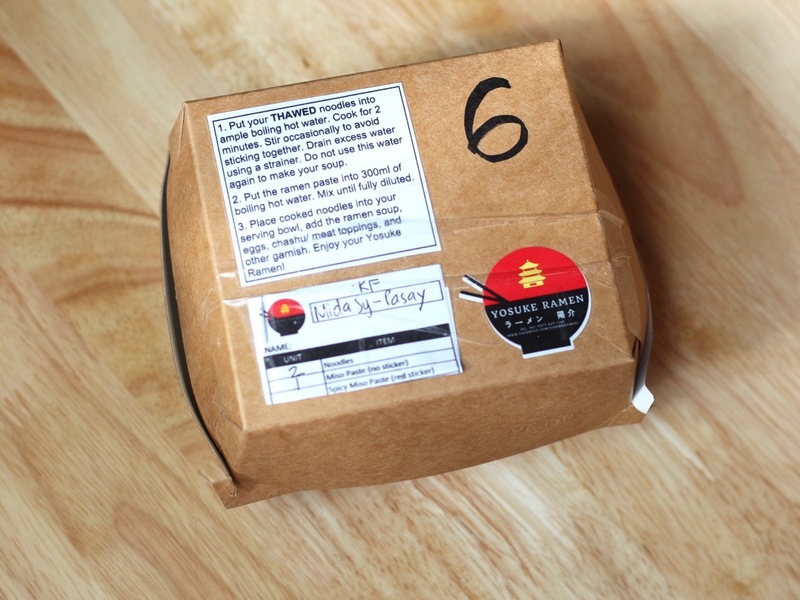 Order your very own ramen today!